Why are Christians these days so reluctant to talk about the return of Christ? In the first century, believers anticipated the Lord’s return so earnestly that they used a short Aramaic prayer: Marana tha, “Come, Lord” (1 Corinthians 16:22). The apostle John prayed, “Come, Lord Jesus” (Revelation 22:20). By contrast, many churches today seem to put the Lord’s return on the back burner. We’re turned off by the foolhardy predictions of end-time sensationalists, and we’re tired of Christians debating about millennial views. Plus eschatology seems so mysterious and difficult to understand, we mistakenly conclude it’s irrelevant to our daily lives. Yet from a biblical perspective, the second coming of Christ cannot be ignored. Jesus promised to return: “For the Son of Man is going to come in his Father’s glory” (Matthew 16:27). Angels declared, “This same Jesus . . . will come back in the same way you have seen him go into heaven” (Acts 1:11). Paul said we await “the blessed hope” of Jesus’ appearing (Titus 2:13). James urged us to be patient “because the Lord’s coming is near” (James 5:8), and Peter warned about mockers who cynically ask, “Where is this ‘coming’ he promised?” (2 Peter 3:4). The theme of Jesus’ second coming permeates 1 Thessalonians. 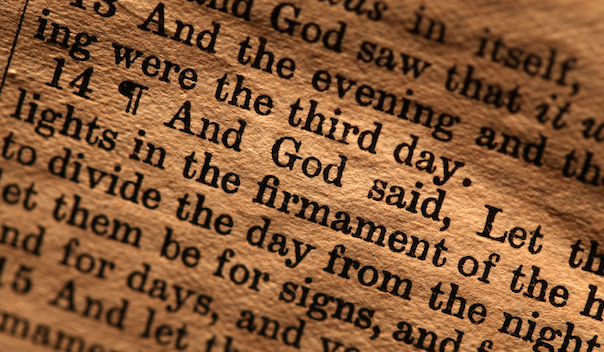 The letter has five chapters, and each chapter ends by emphasizing some aspect of the Lord’s return. Each passage highlights a practical way the second coming relates to our daily lives. It reduces our fear of the future. We “wait for his Son from heaven, whom he raised from the dead—Jesus, who rescues us from the coming wrath” (1:10). It increases our appreciation for God’s family. “For what is our hope, our joy, or the crown in which we will glory in the presence of our Lord Jesus when he comes? Is it not you? Indeed, you are our glory and joy” (2:19, 20). It intensifies our desire to please God. “May he strengthen your hearts so that you will be blameless and holy in the presence of our God and Father when our Lord Jesus comes with all his holy ones” (3:13). It undergirds our hope for life beyond the grave. “For the Lord himself will come down from heaven . . . and the dead in Christ will rise first. After that, we who are still alive and are left will be caught up together with them in the clouds to meet the Lord in the air. And so we will be with the Lord forever. Therefore encourage one another with these words” (4:16-18). It strengthens our confidence in God. “May your whole spirit, soul and body be kept blameless at the coming of our Lord Jesus Christ. The one who calls you is faithful, and he will do it” (5:23, 24). We shouldn’t speculate about dates and details that are known only to God. The Thessalonians evidently misunderstood and misapplied Paul’s teachings about the second coming, so he had to address some of their questions in a follow-up letter, 2 Thessalonians. But let’s not throw out the baby with the bathwater. The end times may be a mystery to us, but not to the Lord. As his plan unfolds we need to be ready, watchful, and expectant. We need to be faithful, patient, hopeful, and diligent in our work. Our future is secure with the living Christ who will come again, just as he said. 1. How often do you think about the Lord’s return? 2. How does the Lord’s return impact your daily life?